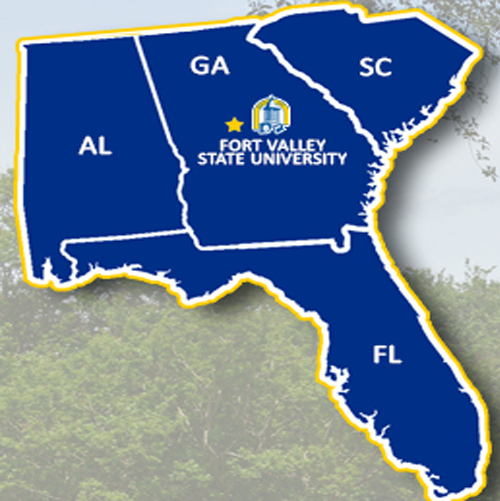 (Fort Valley, Ga.) – Beginning with the 2015-2016 academic year, Fort Valley State University will offer in-state tuition to all residents of Alabama, South Carolina and Florida who meet the requirements for admission. The new “FVSU Neighbor Waiver” program is part of the Complete Georgia initiative. The University System of Georgia Board of Regents has provided out-of-state tuition waivers for select institutions to assist in expanding the potential student body. The initiative allows the included institutions to take advantage of “existing USG infrastructures and capabilities” to grow enrollment. Fort Valley State is one of 11 institutions approved to offer the waiver. The program will be available for the next three academic years. Students who enroll under FVSU’s Neighbor Waiver retain in-state tuition rates for the duration of their studies, as long as they continuously meet the eligibility requirements. Dr. Angela Harris, FVSU vice president of student success and enrollment management, also said the waiver program will provide FVSU with a “competitive edge” at a critical time at the institution. Students interested in attending FVSU should contact the Fort Valley State University Office of Admissions, (478) 825-6520.